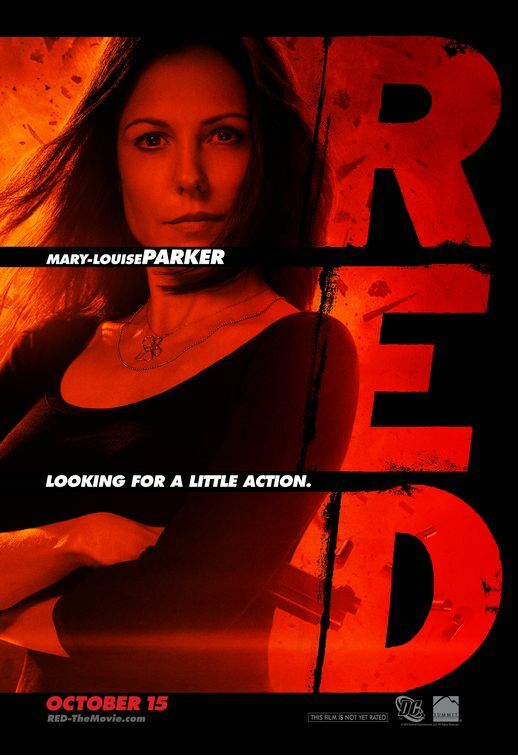 The movie R.E.D. 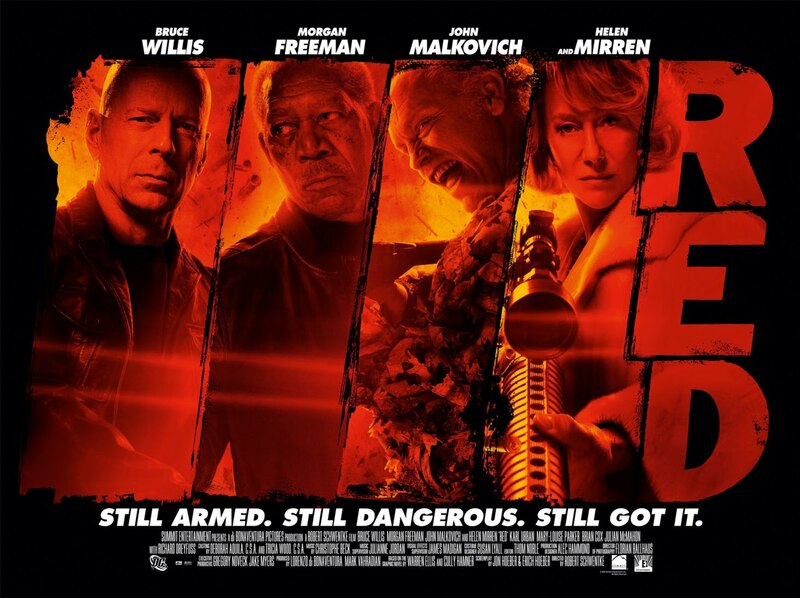 (Retired ad Extremely Dangerous): trailer, clips, photos, soundtrack, news and much more! Victoria (Helen Mirren) and Marvin (John Malkovich) are not impressed by their adversaries. 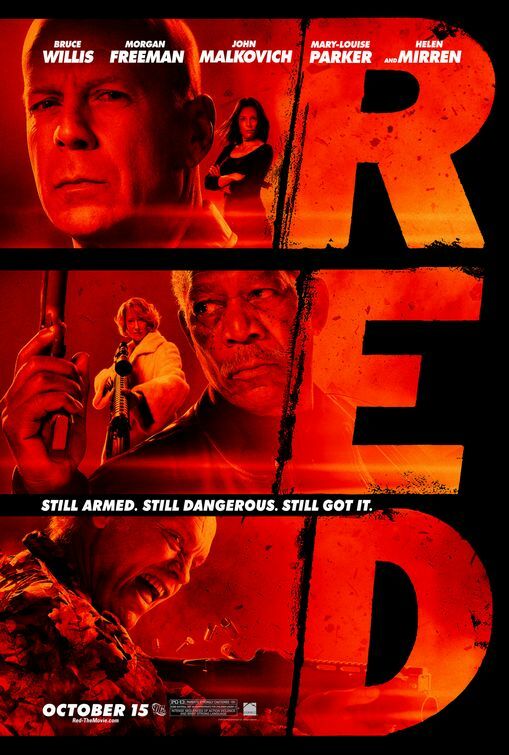 An explosive comedy movie about the danger of retirement! Don’t call him old man! Ex-CIA agent Frank Moses (Bruce Willis) asks Victoria (Helen Mirren) about retirement. They’re maybe old, but they’re still extremely dangerous! Don’t mess with them! 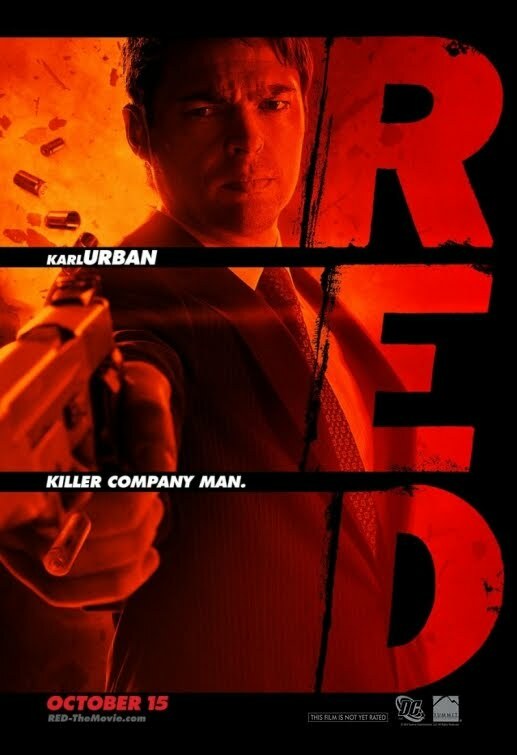 The movie Red opens in theaters on October 16, 2010. 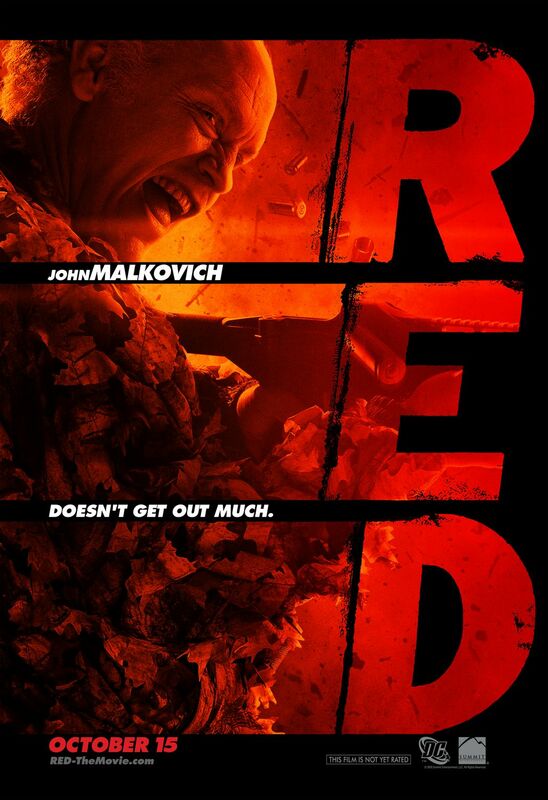 Bruce Willis got the lead role in the movie Red, but John Malkovich could well steal the show! 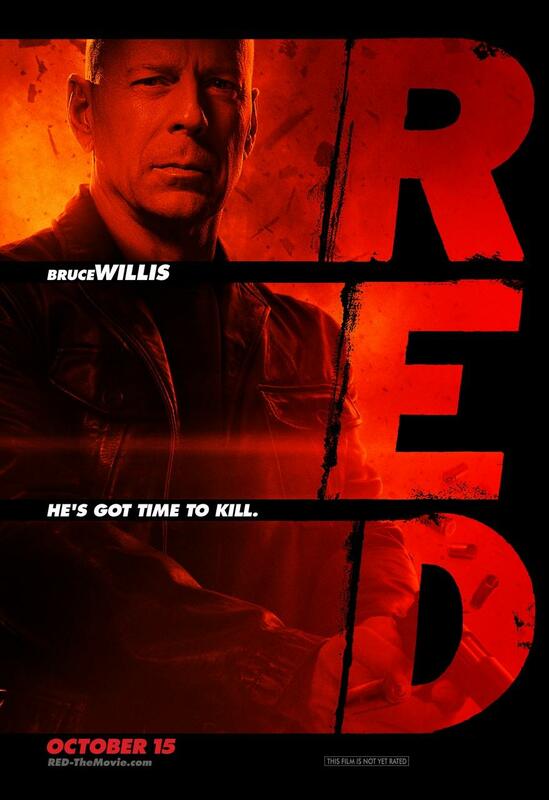 Bruce Willis got the lead role as Frank Moses (Willis), a former black-ops CIA agent. Those black-ops agents are now retired, but they’re still extremely dangerous. Don’t bug them! 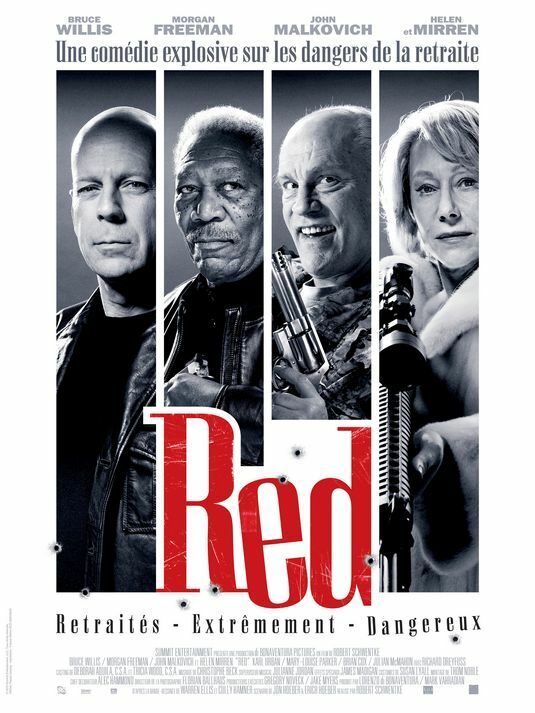 Directed by Robert Schwentke, the movie Red is starring Bruce Willis, Morgan Freeman, Mary-Louise Parker, Helen Mirren, John Malkovich, and Karl Urban. 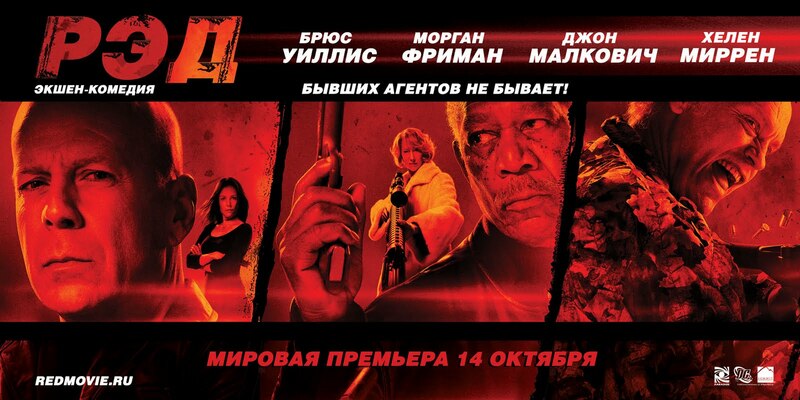 the film will hit theaters on October 15, 2010. 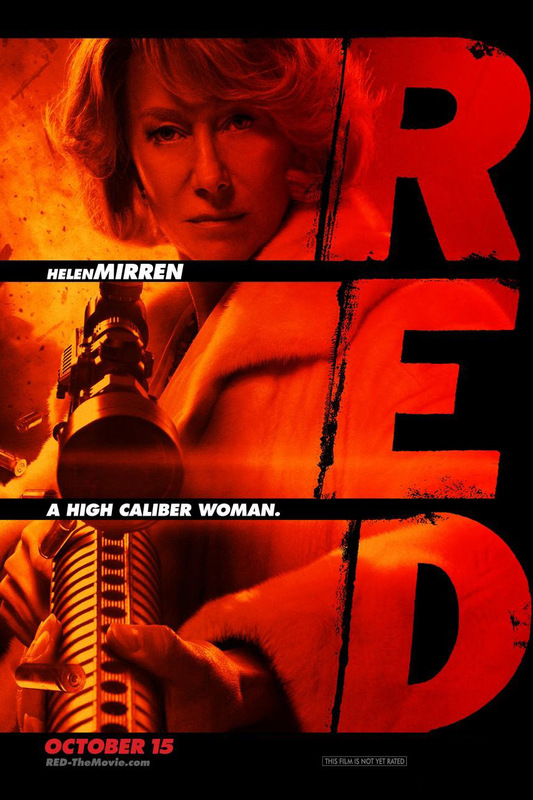 The movie Red will be released on October 22, 2010. 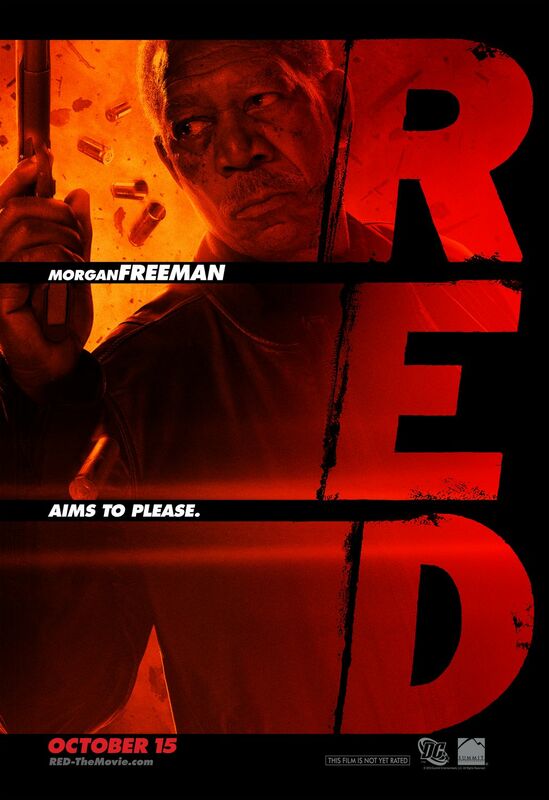 Actor Morgan Freeman plays the role of Joe Matheson. John Malkovich and Bruce Willis kind of look alike, don’t they? Victoria (Helen Mirren) is part of Frank Moses’ old team. He’s got time to kill. They thought Frank Moses (Bruce Willis) was the game, well they were wrong, and now he’s on the hunt and will get justice!